Facebook recently upgraded its messaging system. It is not as straightforward as it used to be. However, it does have better functions that makes it almost like your standalone e-mail client or software. 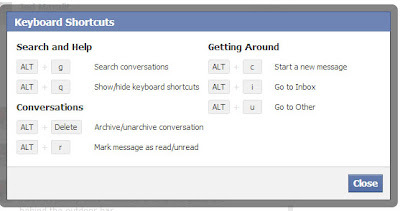 This tutorial will familiarize users of Facebook with the new messaging system. Inbox contains messages from people that you are connected to; i.e. who are your Facebook friends. Other contains messages from people that you are not connected to; i.e. who are not your friends. Clicking on the word Other will show messages from these people. More offers a drop down menu. Clicking it will show normal e-mail functions. Unread are messages you have not read. Clicking this will show messages you have not read before. Archived in normal e-mail parlance are messages which have been compressed for storing or set aside. 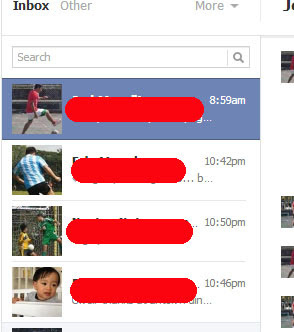 Clicking on this will show all messages you have archived. Spam are mass and unsolicited messages. This is similar to the Spam or Bulk folders of your freebie e-mail providers. 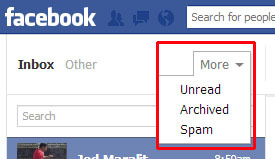 Clicking on this will show all messages automatically categorized by Facebook’s system as spam. 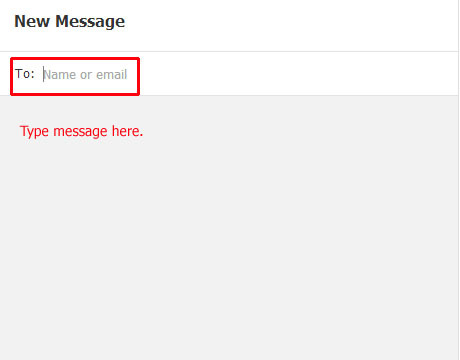 To read a message, just click the name or account of the sender. Clicking it will highlight the name in blue. New and previous messages will instantly appear in the message window next to it. The message interface is similar to other e-mail clients or software. 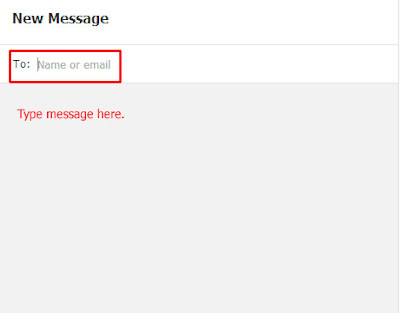 Note that you can actually send a message to an e-mail address. Forward and Delete Messages are functions common to all e-mail clients or software. 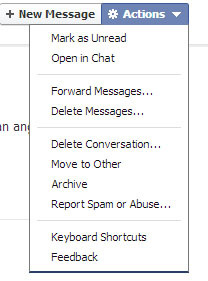 Clicking on these links will show check boxes which you can click to select specific messages that you wish to delete or forward. Open in Chat brings up the Chat pop-up window from which you can see the string of messages. Delete Conversation deletes the entire string of messages. Leave Conversation appears only when you are included in a message sent to multiple persons. Move to Other moves the conversation or message to the Other folder as explained earlier. Archive sets the entire conversation or message aside for storage. Report Spam or Abuse is a familiar enough Facebook feature. Keyboard Shortcuts brings up a pop-window with keyboard shortcuts that you can use alternative to the mouse. Feedback takes you to a page where you can send feedback to Facebook’s software engineers regarding the Messaging system. That’s it! I hope you learned a thing or two from this tutorial!